Few people have difficulty in recognising William Shakespeare as the true author of those works that bear his name. Unfortunately, there are some who cannot resist Bard Bashing by posing what they are pleased to term the Authorship Question. Though relatively few in number, as with all pressure groups, their clamouring often gives the impression that there are more of them that there actually is. When we consider there are over fifty alternative candidates for the authorship of Shakespeare’s works, then conspiracy theorists are divided into over fifty separate camps. Our common sense tells us that it is impossible for all of them to be the "real" Shakespeare, so logic dictates that the rest are barking up the wrong tree (or barking mad as some of them undoubtedly are). It may be true that the main contenders are something around the nine or ten mark, yet even so, the same principle still applies. The sheer number of alternative candidates is testimony to the gullibility of their adherents, each of them certain they can "prove" their man (or woman in some cases) is the true Bard. All these arguments are wrapped up in dubious semantics and intellectual pretension so that the process of clear logic is subjugated. Every candidate for the "real" Shakespeare can be shown to have lived a life where their personal circumstances are embedded or reflected in the plays and sonnets. It matters little if the favoured candidate was alive or dead at the time, a mighty lord, a countess or even a cobbler's son from Canterbury! The very fact that all authorship candidates can be made to fit a single profile tells us this is not a process of rational thought. The idea that the plays and sonnets are autobiographical is essential to the conspiracy theorist. They need to make this claim to enable them to draw comparisons with their favoured alternative. 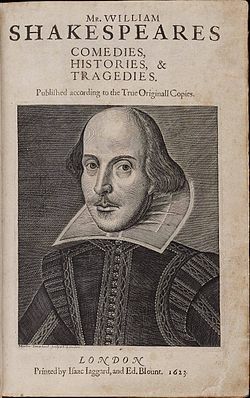 Certainly Shakespeare's work would be influenced by his own experiences and what he had observed in his contemporaries, but as a dramatist he would want to portray society in a way that his audiences and sponsors would recognise; this is not autobiography but it does explain why it is so easy to claim that it is. Most historical truths, when stripped of their hyperbole, turn out to stem from simple and ordinary origins. The Bard came from a humble, middle-class background. Armed with a grammar school education, he entered the Tudor literary fraternity without the benefit of a powerful sponsor. He had to attract sponsorship through his written work. In those unhealthy and politically turbulent times a sponsor could be lost in a moment, so he also had to cultivate others for just such an eventuality. Thus we find "profiles" that fit practically anyone in contemporary Elizabethan society. He placed references in his work that his sponsors, potential or actual, would believe to be themselves. Even today, his work is often quoted to support circumstances in our own lives, so it is not surprising that any alternative candidate can be made to fit. Shakespeare deliberately arranged his work that way. A favourite ploy of the bard bashing critic is the production of lists of eminent persons, both from the pages of history and the arts, as well as academia, who for reasons of their own are prepared to testify to the impossibility of a plain Englishman from the shires being able to pen works that have stood the test of time. What is never presented is a tandem list of those with similar intellectual profiles who are quite happy with Shakespeare as the author of his own works. Such a list would considerably overwhelm that of the doubters. The arguments of anti-strarfordians depends on this sort of censorship, leaving out any conflicting evidence or opinion. In all other human spheres of operation, we have no difficulty in attributing such tactics to the spurious argument, but intellectual snobbery is a powerful force which easily overcomes reason. Casual readers, looking for mischievous amusement, are attracted to the alternative authorship question. These may never have attended a Shakespeare play, or have even a passing acquaintance with his poetry. Even fewer understand much of Elizabethan drama or the workings of the players' fraternity of the period. Those who do understand these things have no truck with the authorship question and therefore refuse to engage in it. With no axe to grind, this reluctance to enter the argument by those with a more reputable opinion leaves the arena free to the conspiracy theorists, giving them an appearance of substance when, in reality, there is nothing there at all. If this were not so, then there would logically only be one proven William Shakespeare - actually there is - it is . . . William Shakespeare.